School Board/Administration: Redwood Falls, Minnesota (School Board Member); 19?? to 19?? State Legislative Staff: Minnesota State Capitol (Doorman and Janitor); 1937 to 19?? 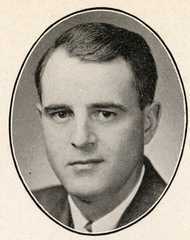 He was an unsuccessful candidate for the Minnesota House of Representatives in the 1938 election. 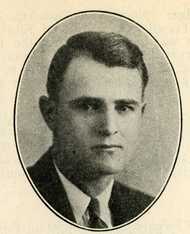 He moved to Redwood Falls, Minnesota in 1919. He died of Alzheimer's disease at the Wood Dale Nursing Home in Redwood Falls, Minnesota and was buried in Redwood Falls Cemetery. Religion provided by his obituary and Minneapolis Star, Between November 1956-January 1957. 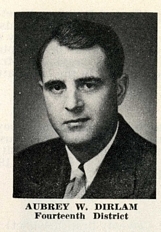 "Aubrey Dirlam, Longtime Minnesota Lawmaker." St. Paul Pioneer Press, June 5, 1995. Chanen, David. "Retired Legislator Aubrey Dirlam Dies at 81." Star Tribune, June 5, 1995, p. 7B. O"Keefe, Robert J. "Dirlam Ends Long Legislative Career." St. Paul Pioneer Press, June 5, 1974. "Six Members Will Retire, Aubrey Dirlam." Inside the Interim, Minnesota House of Representatives, June 1974. - This article has a typo, it states he was Minority Leader in 1947, it was actually 1957. 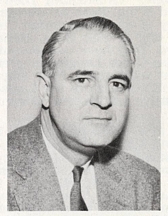 O"Keefe, Robert J. "Dirlam Ponders Retirement." St. Paul Pioneer Press, May 14, 1974. "'Gosh, They Were Good' an 'Elder Statesman' Recalls Some 34 Years of Legislating." Fairmont Sentinel, January 29, 1974. "A Few Men Will Play Key House Roles." Minneapolis Tribune, December 27, 1970. Montgomery, Jerry. 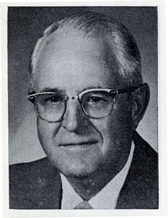 "Rep. Aubrey Dirlam." St. Paul Pioneer Press, January 5, 1969, p. 1, 4. "Know Your Minnesota Legislature: Rep.Aubrey Dirlam." Minneapolis Star, Between November 1956-January 1957.